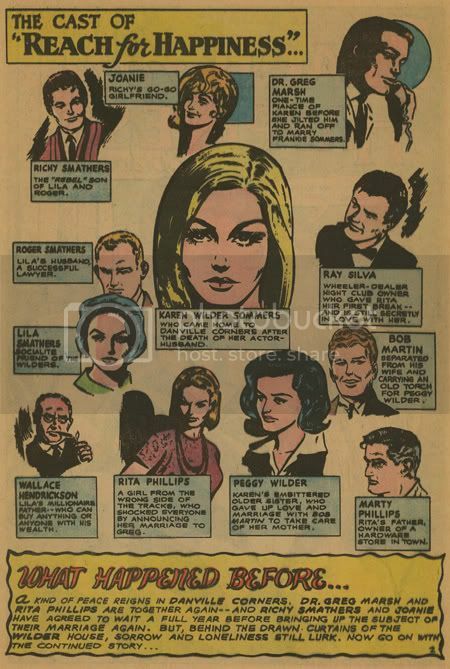 Yesterday I posted some images from a wonderful 1967 comic book called "Secret Hearts", which featured three great stories: "A Stolen Dream", "Love Me, Love Me Not" and "Reach for Happiness". Check out the great cast of "Reach for Happiness". I think someone should turn this into a TV show! 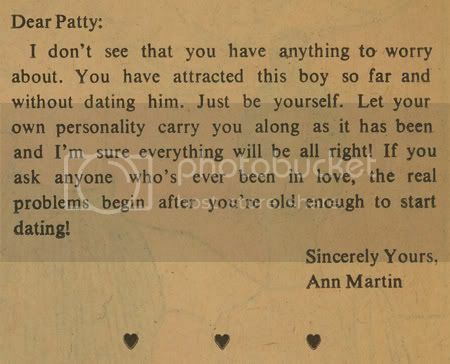 The book also included advice for young people from Ann Martin, Counselor-At-Love. 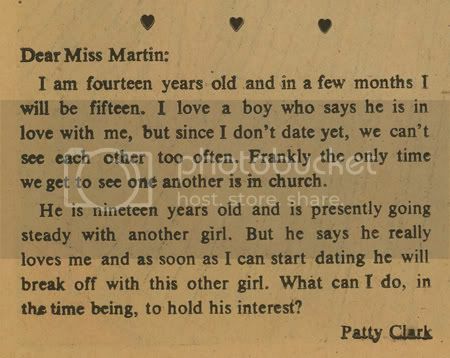 I thought the answer to the question was obvious, but I guess things were a little different back in 1967, at least in the comic book world.